Break addictive habits that are designed to get you hooked - from the Inside-Out. Dismantle the habits that lead to drinking by conquering cravings and your fear of denial, from the Inside Out​​. Freedom from Alcohol is possible without cravings, fear of denial or a life spent resisting temptation. Artificial Intelligence (AI) and neuroscience are evolving rapidly. Because your buddy lives in the cloud it's always learning and getting smarter. 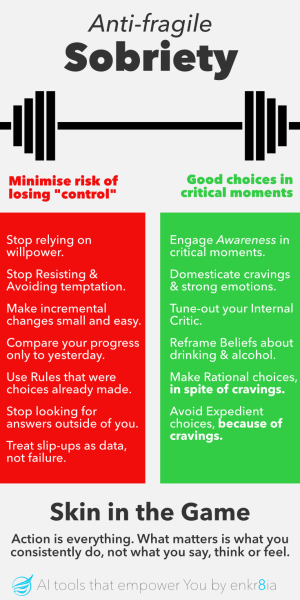 Breaking a bad habit happens in the moment when cravings occur. Crave Assist immediately focuses your buddy on stopping cravings any time, any where. Everyone is different; with different goals, different motivations and different needs. Tailor your buddy to have meaning for you. Sobriety that gets easier as life gets harder.